All means are good for access "Les Îles". Here you will find all the necessary information for planning your trip to the archipelago. Whether you arrive by plane or boat, remember that there are different ways to get around at your destination, refer to the section Discover the Islands and specifically subsection Moving around for more information. You live outside of Canada? 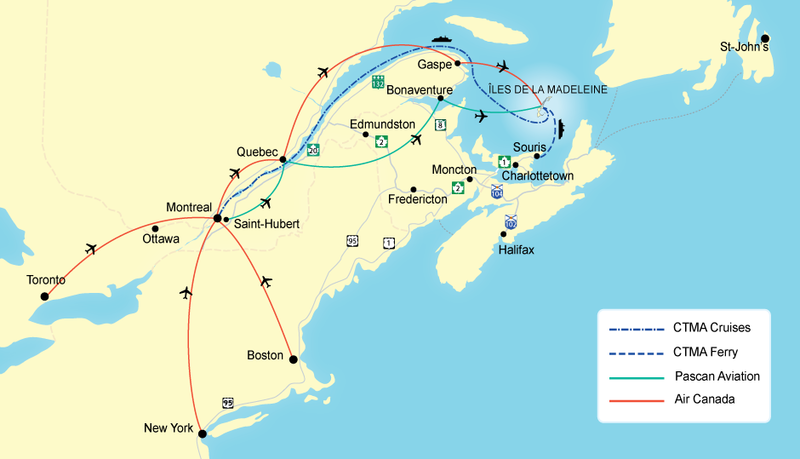 Many travel professionals are promoting the Îles de la Madeleine outside Canada. To find a travel agent near you, please consult the list made up by Le Québec maritime!